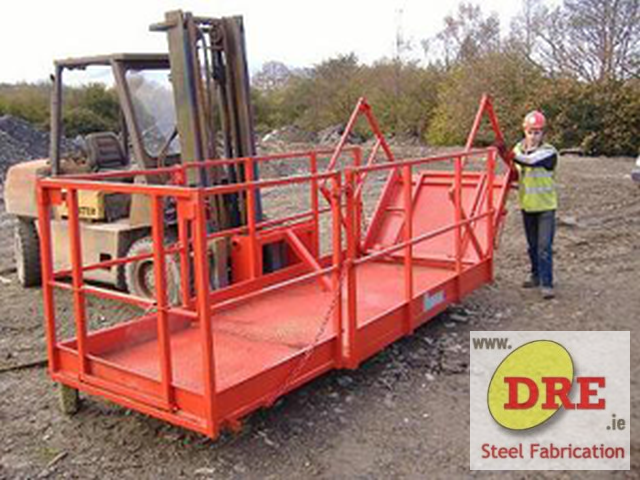 DRE have been manufacturing and supplying Extendable Work Platforms for over 20 years. 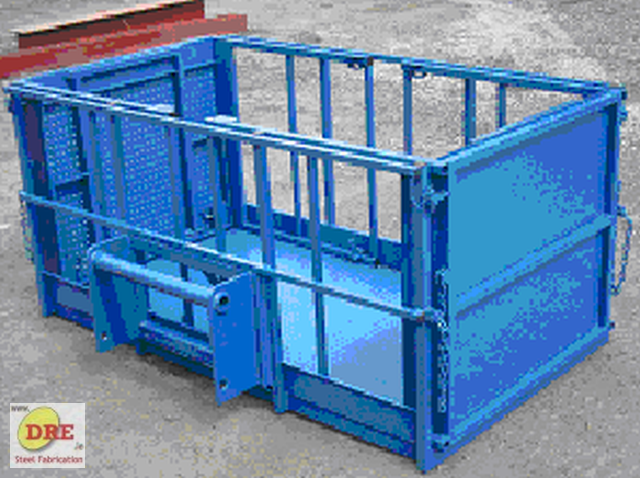 The Extendable Man Cages are manufactured in our workshop situated in Bunclody Co.Wexford Ireland, at the Wexford, Carlow and Wicklow borders. Description The Extendible Man Cage work platform is designed for use with cranes and forklifts to elevate persons to work at heights. 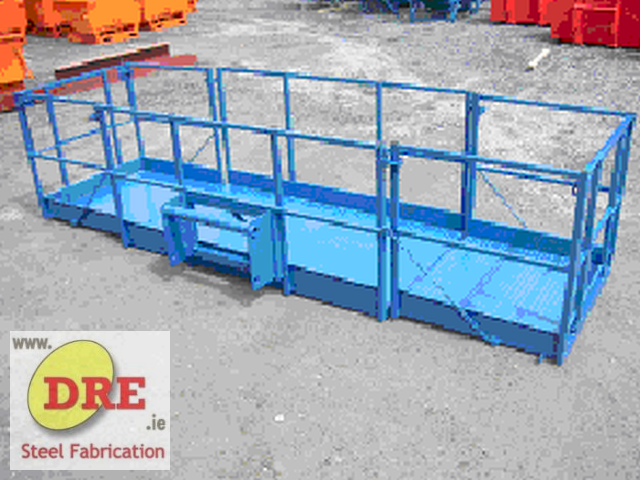 Work platforms such as this should only be used for occasional use, where self propelled work platforms are not available. These work platforms should only be used on good and level ground.